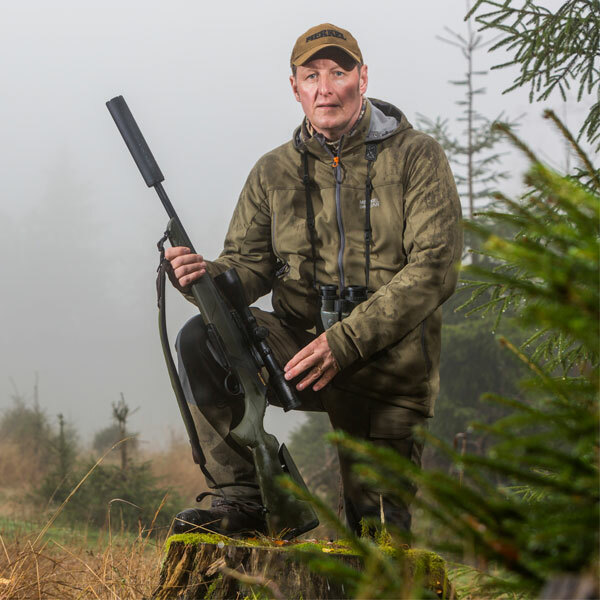 Owen Beardsmore (53) has been a hunter since childhood and a professional hunter/guide for the past 15 years. 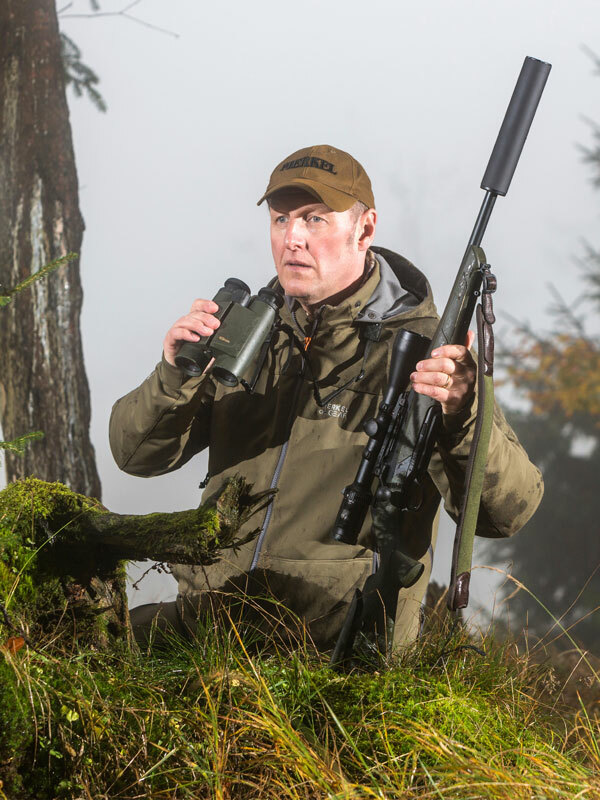 At the age of 40 after a successful career in the communications industry, he returned to the woods he loves so much, to guide clients from all over the world for all resident UK deer species. In many ways the ‘Brits’ are ahead of other European hunters having embraced, for over a decade, the use of sound moderator’s as a hunting aid. Owen is a supporter of the ‘silencer’ for the future hunting generations as he himself has a souvenir of tinnitus from un-moderated days of shooting of the last century. 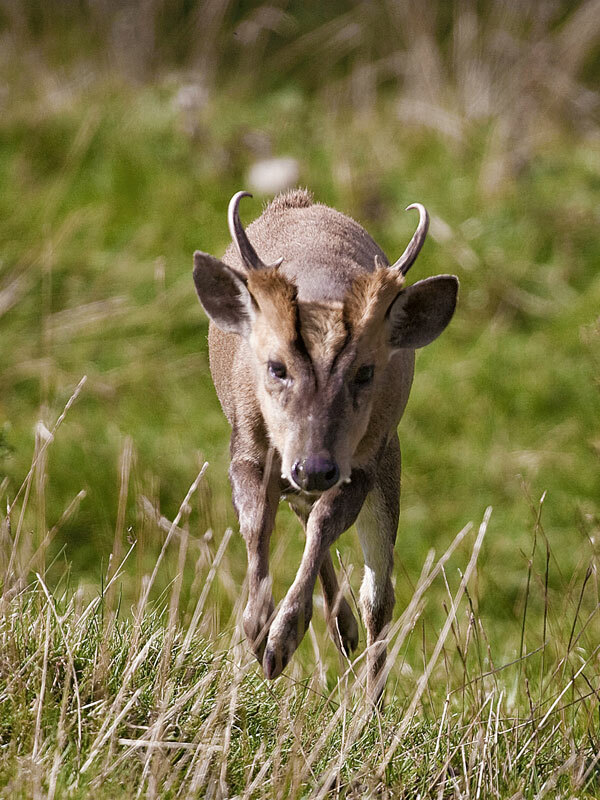 During the 1880’s several Reeves Muntjac escaped from Woburn Abbey in the Midlands of England and adjusted to the British weather where they survived and thrived. Feeding at a low level, this beast of only 45-65cm in height has had an adverse effect on the ground flora of the native woodlands. Hunter and outfitter Owen thinks that this curious beast is a challenging hunt as it never stands still, always patrolling its territory, seldom leaving thick cover until last light. Owen’s choice of weapon is the RX Helix in. 308W calibre with a synthetic Alpinist stock. The 510mm standard barrel is muzzle threaded for his choice of sound moderator. He explains “people that shoot with a silencer are more relaxed when taking a shot due to the reduced recoil and muzzle blast, the quarry cannot always detect the direction of the shot and this enables, on occasions, other beasts to be selected and dispatched. ” He favours this caliber as the round is more forgiving of deflection when shooting into the light foliage habitat of the Muntjac. In general these deer are shot between 30-150m in distance, which is respectable given the small size of the target and the. 308W had a great knockdown quality. This strange ‘alien invader’ with its fanged teeth benefits from being hunted with the muffled blast from the sound moderator. As it moves around its territory a beast can be shot and the rest of the community settle down quickly, for a further one to be dispatched within a short time making the hunting result more effective. In many areas the Muntjac lives adjacent to man in urban forests and the reduced noise from the shot is appreciated by the local residents at first & last light. Owen: From a young age I helped a gamekeeper on an estate next to my village, I started hunting rabbit, pigeons and duck and then foxes. I always loved nature and hunting was a natural progression of being in the woodlands. Owen: Active woodland deer stalking on foot for Roe, Fallow & Muntjac deer. Owen: Well I hunt as a profession as well as for my recreation so I hunt a lot, but my favourite hunt is Chamois/ Gems in the Alps. Owen: With hunting, every day is a school day, you can never stop learning about nature and our quarry species.